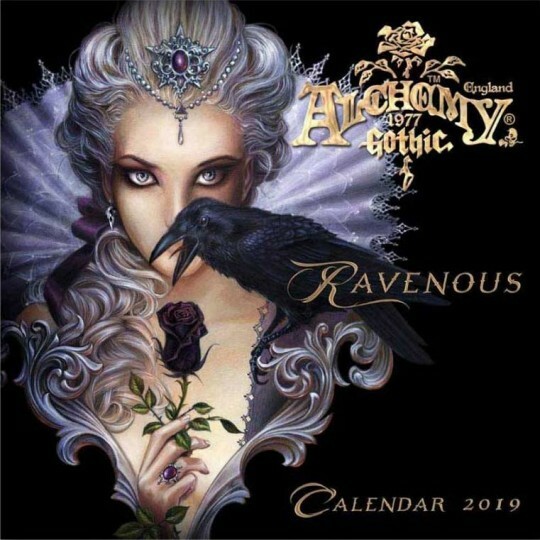 CAL19 - Alchemy Gothic Ravenous 2019 Wall Calendar in Gifts is made for Women and Men and comes in Black and is made of Pewter material. It is marked as Calendars and weighs about 1.00 lb. 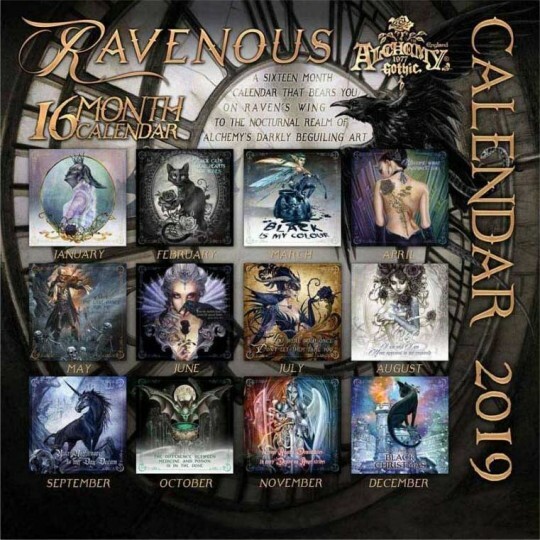 LP-sized wall calendar featuring 13 specially edited Alchemy Gothic paintings which are embellished with inspirational proverbs, quotes and aphorisms to enlighten each passing month.